Are you are experiencing trouble with leveraging your online content strategically? Do you get the feeling you’re missing out on opportunities? With the current business landscape becoming more and more competitive, the importance of digital media cannot be stressed enough. But utilising content strategically on your website, blog and social media pages can be quite tricky without direction. Inbound marketing helps you attract your ideal audience to your website through blog posts and social posts. You convert these visitors into leads through a quality content offer such as an eBook or whitepaper, which speaks to the audience’s pain points. Potential leads are then taken to a landing page, where they can fill out a form and download the desired content. To make inbound marketing work effectively without any prior experience, a 360-degree perspective of your business’s digital marketing is required. That’s where a certified HubSpot partner comes into the picture. Wondering what HubSpot is exactly? It is one of the leading inbound marketing, sales and website platforms out on the market. Perhaps you’ve just bought your first instance of HubSpot, or don’t feel confident to set everything up of your own accord? A HubSpot agency partner, like MO Agency, works together with you to grow your business through the set-up and implementation of HubSpot software. They will be in contact with HubSpot representatives and from there can provide the best solutions for your prospects and existing clients. 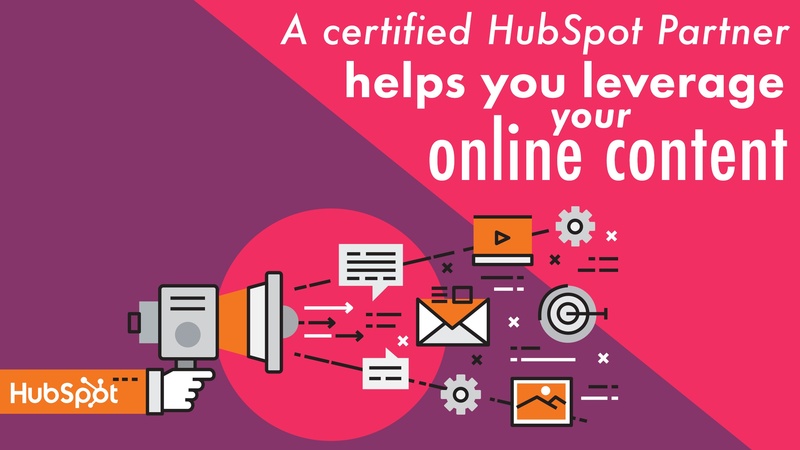 When an agency becomes certified, they have proved that they have an in-depth knowledge and the necessary skills to make your business successful through HubSpot. You may assume that by just purchasing the HubSpot software yourself, you’ll be able to automate all your digital marketing. Sadly, it’s not that simple. We know from experience that it takes time and effort to get HubSpot working smoothly. Most importantly, you must be producing a steady stream of targeted content to fully leverage the potential of HubSpot. An agency partner like MO Agency is made of professionals in content marketing, design, strategy and user experience. A team like ours can help you to craft the perfect content offers for your business’s target audience. We are HubSpot customers ourselves and our experiences have provided us with many insights, as we continuously push what’s possible with HubSpot. A certified HubSpot partner knows the how to get the best out of the platform, quickly and efficiently - which makes a huge difference to your bottom line.